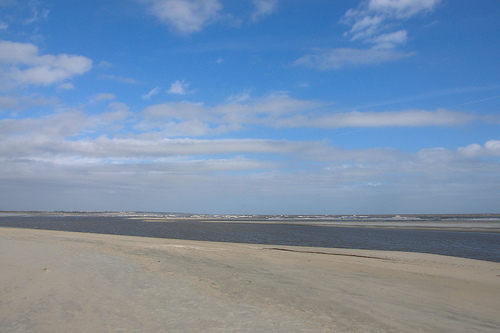 Located north of the Coast Guard Station at the end of Bruce Drive, Gould’s Inlet is to me the most beautiful remaining beach on St. Simons Island. It is the opening of Postell Creek, which divides St. Simons and Sea Island. It is primarily known as a wildlife viewing area and is easiest to visit in the fall and winter, due to limited parking at the public access point. 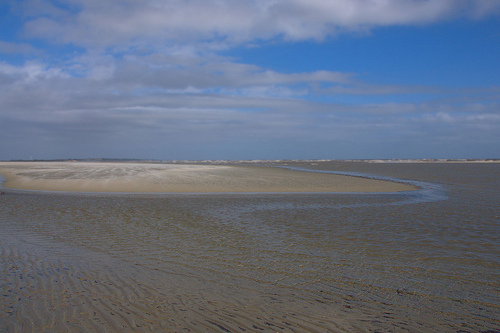 Currents and undertow here are known to be quite dangerous, so it’s not generally favorable for swimming. When I visited on a cool December day, it was as if the beach were reinventing itself through ribbons of sand, racing over the shore and changing shape in real time.